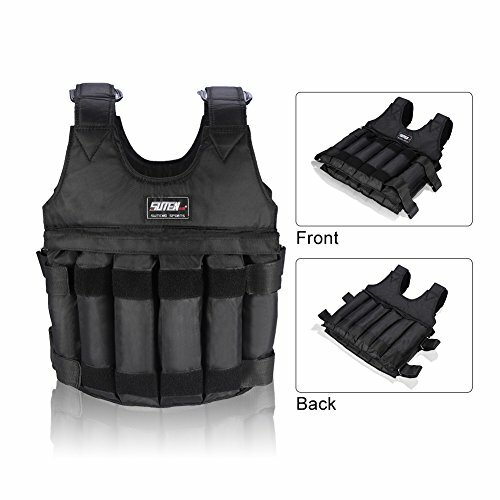 Only a vest is included, without any weights. Please allow 1-2 inches differs due to manual measurement, thanks! Our weight vests are built for your workouts. You can burn fat, build muscle, and intensify any exercise. Adjustable straps on each side make it easy to match your body type. 16 pockets allow to fill up to 110lbs iron weights or 401bs sand bags. Weights are not included. Width: 14.50; Height: 23.6; Depth: 5.00 & Weight: 31.3 ounce. Durable material, sturdy and also breathable.